"Working with entrepreneurs and business owners throughout their life cycles gives me insights into my clients' business models and personal values and enables me to be a more effective legal and business advisor. I consider it a privilege to be their trusted advisor and enjoy all phases of our journeys." 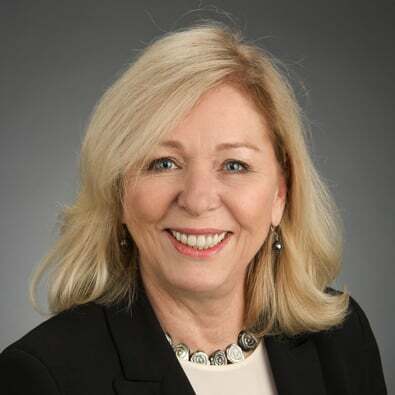 Rita Garry serves as Senior Counsel and is a member of the Corporate Practice Group and a member of the Emerging Industries Team. Rita’s practice focuses on corporate and business enterprise law, including M&A, business sales, joint venture, corporate governance and succession planning, securities, finance, private placements and crowd funding. Most recently, Rita was a corporate and transactional partner at Golan Christie Taglia in Chicago. Prior to Golan, Rita was a partner at SmithAmundsen LLC where she served as the Chair of the Corporate and Transaction Practice Group. Prior to these positions, Rita founded and ran her own law firm for fifteen years working with a variety of businesses across a broad spectrum of industries, including manufacturing, distribution, professional services, real estate development and management, engineering and fabrication, aviation. Rita frequently speaks and writes on the European Union's General Data Protection Regulation (GDPR) and the need for all companies to assemble business, technology, and legal teams to comply with this data management regime. Advised on consolidation in mutli-party restructuring transaction in national roll-up of veterinary emergency and specialty care practices. Executed on U.S. and EU Safe Harbor Certification program for eCommerce third-party business service provider following UK add-on acquisition and follow-on Privacy Shield and GDPR compliance. Negotiating and commercial contract management for merchant relationships and gift card fulfillment services emphasizing cybersecurity compliance and data privacy. Developed and negotiated multi-party alliance to transition $510M professional employer organization (PEO) business among consortium of PEO companies. Represented oppressed 50% shareholder in hostile stock sale of US machine parts business to Japanese OEM. Drafted and negotiated multi-million dollar asset-based credit facility in support of international dairy proprietary and white-labeled ingredients distributor. Represented seller in tax beneficial reverse triangular merger for acquisition of privately-owned FDA validation consulting business to NASDAQ listed company. Served as general counsel to US-based commercial aircraft wheel and brake overhaul operation to develop and document joint venture with French aircraft OEM in support of C-17 military transport aircraft. Drafted, reviewed, and negotiated a wide variety of commercial agreements to meet business and legal needs, including complex technology, data privacy, SaaS, intellectual property, employment, and a variety of merger/acquisition deal agreements. Panelists, "Conducting a Cyber Liability Audit of Your RRG - What You Need to Know to Implement Best Practices," National Risk Retention Association 2018 Conference, (October 3, 2018). Co-Presenter, "Navigating Evolving Privacy Regulations and Expectations," BlackBerry World Tour (May 17, 2018). Presenter, "GDPR: A Crash Course," Trade and Professional Associations Law Committee of Chicago Bar Association, (May 8, 2018). Co-Presenter, “The European Union (EU) General Data Protection Regulation (GDPR) Overview,” Illinois Technology Association Webinar (April 16, 2018). To watch the webinar, click here. Presenter, "Regulation A+ vs. Crowdfunding: Exploring Similarities and Differences," The Knowledge Group Webinar (January 22, 2018). Client Alert: GDPR: A Four-Letter Word? This Client Alert, written by Corporate Practice Group member Rita Garry, highlights what steps your company may need to undertake in order to be compliant with GDPR when it goes into affect next year.